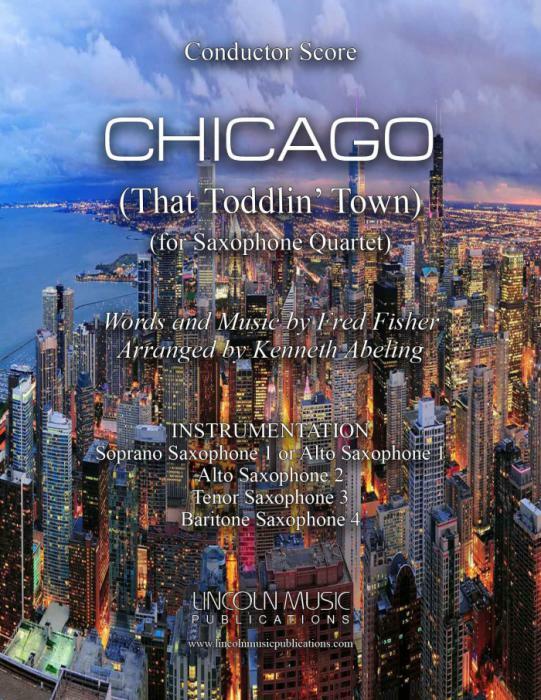 CHICAGO (That Toddlin' Town) by Fred Fisher arranged for Saxophone Quartet by Kenneth Abeling. This an advanced arrangement of Fisher’s tribute to the 2nd City and made popular by Frank Sinatra amongst others. Playing time: 3:00.